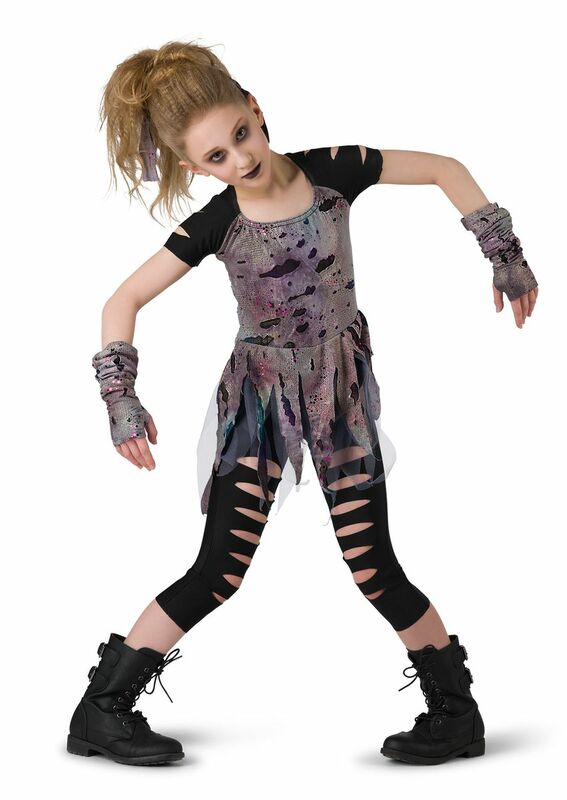 Holo-sequin shredded mesh over black spandex capri unitard with slashed detail. 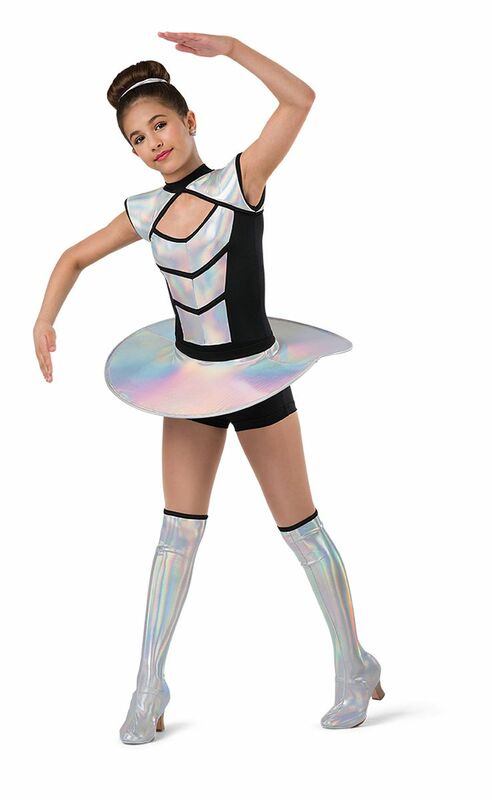 Attached holo-sequin over grey mesh tattered peplum. Made in the USA.